During the Barbaric Invasions around the year 568 following the new people the herds with a particular red coat, they had robbed this animals in the big plains of southern Russia and Pannonia. our today’s Parmigiano Reggiano Cheese. There were many breeds in Northern and Central Italy as a matter of fact the Italian Renaissance artistic tradition inserts constantly the red ox in the Nativity’s pictures. 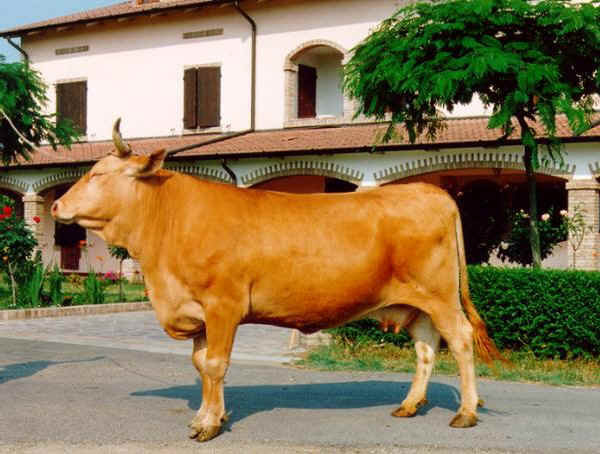 This breed was a protagonist (and still is today for it’s quality) in the agriculture and livestock of the Reggiano and Parma context because it was the most breed since the second half of the twentieth century when it reached on 1954 the number of 136,695 head of cattle. But the Italian’s post war politics in order to reach easier selection results, become to crossbreed these cows with cosmopolitan breeds for their replacement. On 1980 the were less than one thousand of this particular head of cattle. The good quality of milk and the exploitation strategies also supported by the Ministry of Agriculture ad Forest Politics and by the Emilia Romagna region had determined a constant population increase and currently the head of cattle has reached 2,300 units present in 179 farms. The breed is characterized by the red wheat colour coat (the colour of the wheat’s with dark or pale changings, more or less toned down in the inside parts and in the lower limbs, at the eyes edges. The subjects of this breed have a good size, long trunk, a solid plant skeleton, quite long head always very distinct. 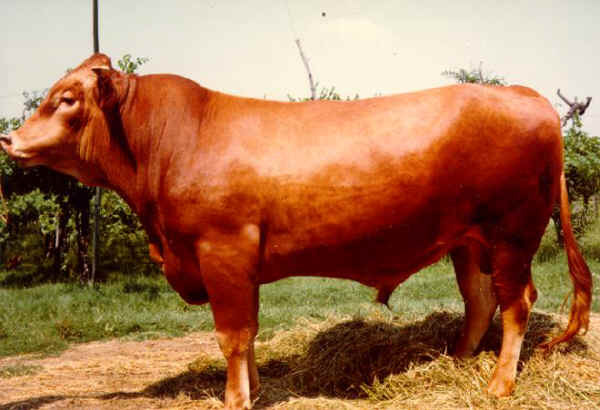 The breed preserves excellent reproductive, rusticity performances and a good quality of meat produced by the fatted cows ad animals that have to be butchered.